Nativism and the Tea Party movement. WASHINGTON -- So what exactly is the Tea Party movement and why has it risen up? The ferocity of its opposition to President Obama is mystifying to political progressives. Most of the left simply doesn't see the current occupant of the White House as especially liberal, let alone "socialist." Obama, after all, is the man who saved the banks and the capital markets. Now the bankers are secure and most of them are still rich. His health care proposals stopped far short of the single-payer system that so many liberals have long sought, and his plan is the kind of thing moderate Republicans offered back when they were a significant force. Obama put absolutely no political muscle behind the progressives' backup idea, a public option that could have served as a beachhead for a single-payer system. The president is also decidedly moderate on budget questions. His stimulus plan was, if anything, too small. And Obama endorsed a bipartisan commission to reach a deal on deficit reduction, an idea that originated with centrist Democrats and moderately conservative Republicans -- and that most liberals opposed. Why has this middle-of-the-road leader inspired such enthusiastic counter-organizing, and called forth such venom? The most popular theory on the left is that Obama's race is a big part of the story, and that we are seeing a reaction among some whites against the multiracial, multicultural political coalition he has brought together. The phrase "losing our country" is often on the lips of his enemies, which raises the question of who they mean by the word our. 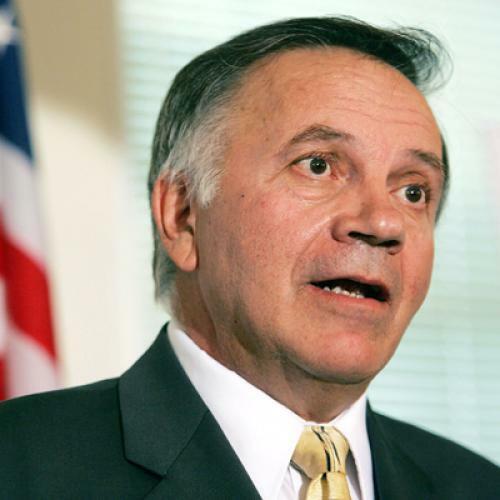 At last week's Tea Party Convention, former Rep. Tom Tancredo, famed for his attacks on illegal immigration, gave backers of the racial explanation all the ammunition they needed. In an astonishingly offensive speech, cheered by the Tea Party crowd, Tancredo declared that "people who could not even spell the word 'vote' or say it in English put a committed socialist ideologue in the White House. His name is Barack Hussein Obama." Even worse, if that's possible, Tancredo harkened back to the Jim Crow South that denied the right to vote to African-Americans on the basis of "literacy tests" that called for potential black registrants to answer questions that would have stumped Ph.D.s in political science. The reason we elected "Barack Hussein Obama," according to Tancredo, is "mostly because I think that we do not have a civics literacy test before people can vote in this country." Where is the party of Abraham Lincoln? The GOP's leaders have been shockingly silent, but Meghan McCain, John McCain's daughter, honorably stepped up to condemn Tancredo. On ABC's "The View," she said the call for literacy tests amounted to "innate racism." So, yes, parts of this movement do seem to be motivated by a new nativism, and by racism. But it would be a mistake to see the hostility to Obama only in terms of race. Something else is going on in the Tea Party movement, and it has deep roots in our history. Anti-statism, a profound mistrust of power in Washington, goes all the way back to the Anti-Federalists who opposed the Constitution itself because they saw it concentrating too much authority in the central government. At any given time, perhaps 20 percent to 25 percent of Americans can be counted on to denounce anything Washington does as a threat to "our traditional liberties." This suspicion of government is not amenable to "facts" -- not because it is irrational, but because the facts are beside the point. For the anti-statists, opposing government power is a matter of principle. If those who think this way are asked whether an economic collapse would have been better than passing a stimulus and bailing out the banks, the anti-statists typically say "yes," even if they might also challenge the premise of the question. The purest expression of this disposition has come from Rep. Ron Paul, the libertarian Republican from Texas. In 2008, Paul strenuously criticized President Bush's proposed bank bailout for "propping up a failed system so the agony lasts longer." Without a bailout, Paul conceded, "It would be a bad year. But, this way, it's going to be a bad decade." Understanding the principled anti-government radicalism that animates this movement explains why its partisans see the conservative Bush as a sellout and the cautiously liberal Obama as a socialist. For now, their fears of Obama are enough to tether the Tea Partiers to the GOP. In the long run, establishment Republicans are destined to disappoint them.